Is there any paperwork or document for the mechanical systems of 33 Flowers Cres, Ajax, Ontario? 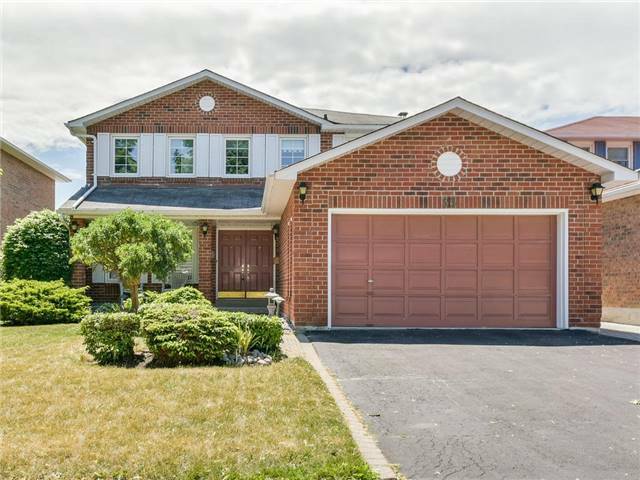 I need more information about the property at 33 Flowers Cres, Ajax, Ontario. How ist the neighborhood, location and nearby amenities for 33 Flowers Cres, Ajax, Ontario? I have questions about the roof, foundation, insulations and mechanical issues of 33 Flowers Cres, Ajax, Ontario? I need more information about property details. What's wrong with this house? Is this a short sale? Is there any maintenance for 33 Flowers Cres, Ajax, Ontario? What is this property worth in today's market? What are "closing costs", and how much? What steps should I take when looking for a home loan? What price home can I afford? Is my credit good enough to buy this house? What are the best mortgage options for me? How flexible is the seller on the asking price? How low can I consider offering for 33 Flowers Cres, Ajax, Ontario? Terrific Family Size Home In Desirable South Ajax. Walk To Rec Ctr, Hospital, Elementary And High Schools, Shopping, Restaurants And Miles Of Waterfront Trails. Well Maintained Home With Updated Windows, Furnace. Ac, Updated Bathrooms, Beautiful Travertine Tile Entry Thru To Kitchen. Main Flr Laundry, Unspoiled Basement Awaiting Your Creativity. Include: All Window Coverings, All Electric Light Fixtures, Existing Fridge, Stove, Built In Dishwasher, Washer And Dryer, Electric Garage Door Opener, Pool Equipment, Furnace, A/C Unit And Hot Water Tank.